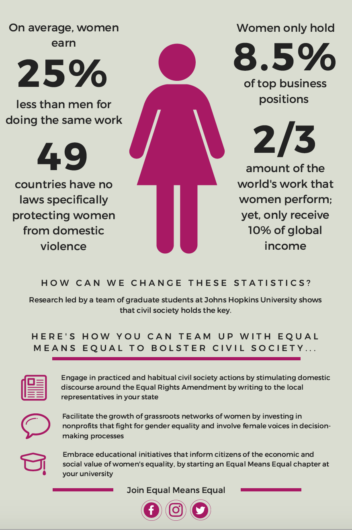 2018 John Hopkins SIAS students came up with ideas on how Equal means Equal can partner with civil society to empower women. 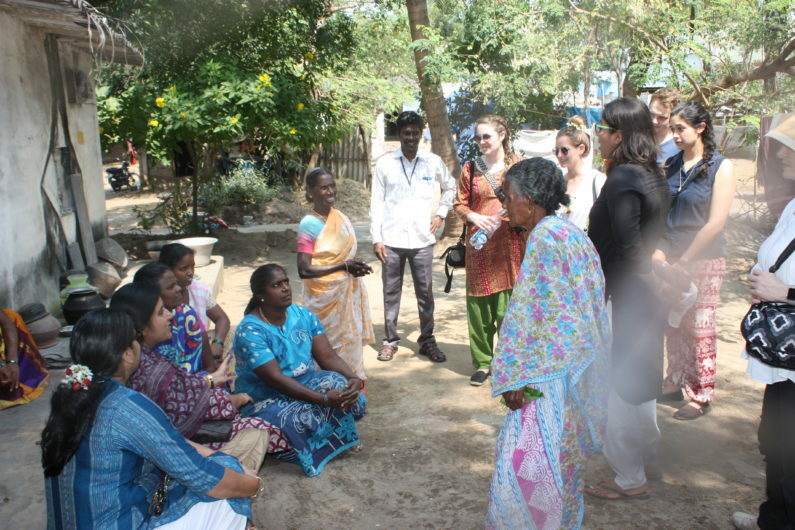 SAIS students interview local village women about micro-credit programs with Rajkala Partha, Founder of Sharana, the “Social and Development Organization.” Sharana was established in July 2000 by Rajkala Partha, a Chennai-trained social worker with a post graduate degree in Rural Development from Madras Christian College. 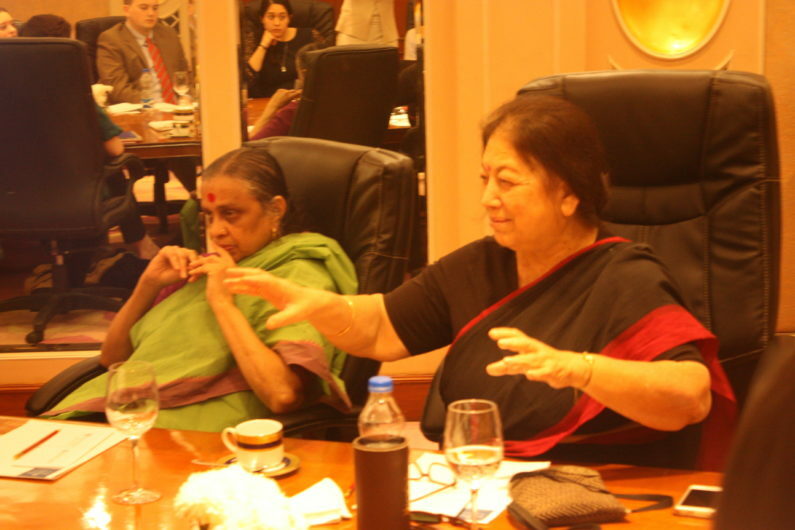 Dr. Corinne Kumar, Co-Founder of the World Courts of Women and Vimochana Forum for Women’s Rights describes her local women’s collective with her staff member to SAIS students in Bangalore, India. 2018 Research Partnership between Equal Means Equal and Johns Hopkins University SAIS Women Lead.